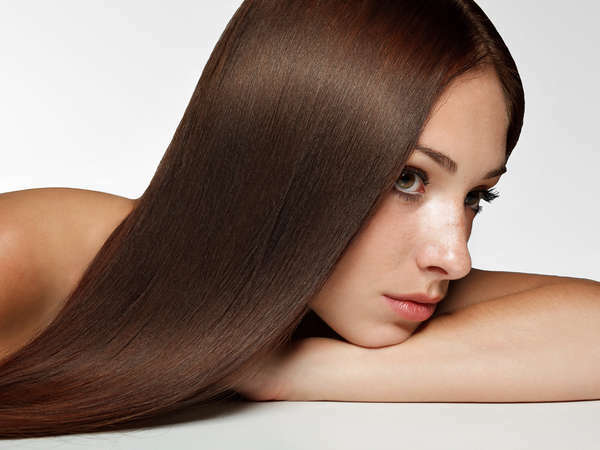 Products that promise to straighten and strengthen hair are all over the beauty market. Keratin treatments, Brazilian Blowouts, and Japanese straightening treatments all promise just about the same thing, but come with a couple of very toxic drawbacks. The chemicals found in these products have long been a topic of controversy in the beauty world, and experts strongly advise using the products with a professional stylist in a well-ventilated area to lower the risks associated with inhaling toxic chemicals such as formaldehyde. Now, however, there’s a formaldehyde-free (gasp) alternative that’s rocking the celebrity beauty world—Magic Sleek. Many people, celebrities included, love Magic Sleek because it’s a safe and highly effective alternative to other hair relaxing treatments on the market but leaves your hair feeling just as soft, silky and healthy as if you did indulge on something like a Keratin treatment. The main drawback with these treatments in the past were mainly the concerns around the negative health effects associated with inhaling the toxic ingredients in the treatment. Magic Sleek is a safer alternative, boasting that the process is even less strenuous on the hair than how other treatments are applied. The first step in the process is to shampoo the hair, cleaning it of any other chemicals before the solution is applied. After that your stylist will apply a relaxer to straighten the hair, followed by a finisher to leave the hair feeling healthy and soft. Hair that’s been damaged beyond repair will receive additional treatments, but the whole process should have you in and out of the door within a few hours. The product is even safe to use on children, and many parents who grow frustrated of dealing with their child’s naturally frizzy, curly hair are turning to Magic Sleek to make things easier. Since the product is free from hazardous chemicals, being exposed to it for longer periods of time won’t be as harmful as if you were exposed to formaldehyde treatments. Even those with processed or color-treated hair will find that Magic Sleek is the perfect way to tame curly hair, and it will have you ditching your flat iron for months on end. The biggest positive with Magic Sleek, aside from being healthier, is that it promises not to flatten your hair too much or remove precious volume as many other straightening treatments end up doing. 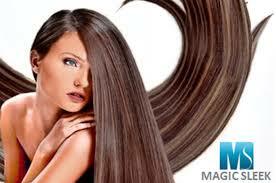 Magic Sleek won’t weigh the hair down or flatten it, only straighten it. Naturally, if you’re going from extremely curly to straight you’re going to lose a little bit of body, but the volume will be perfect for what you want out of a sleeker look. 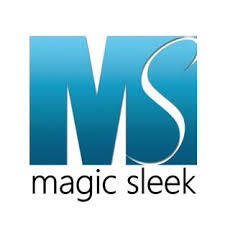 Book your Magic Sleek treatment at Aaron Emanuel Salon in New York City today!